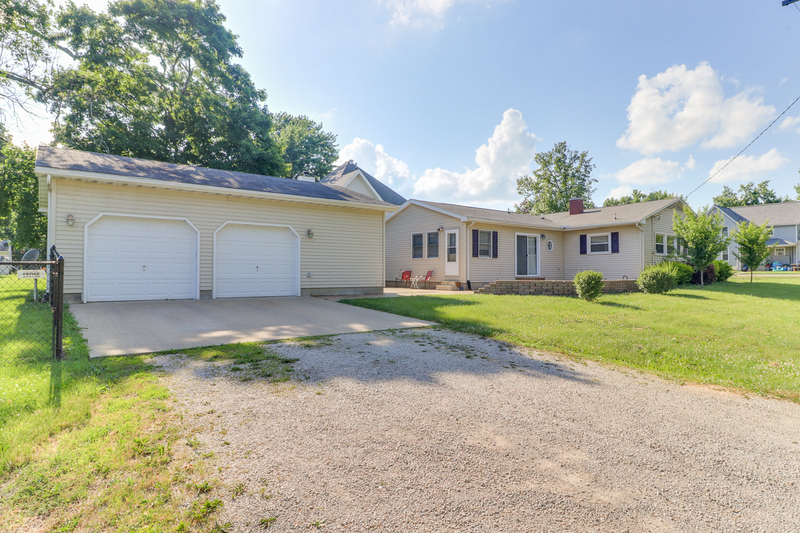 You’ll love this cute updated 3 Bedroom Ranch on a large corner lot with an oversized 2-car garage. Beautiful eat-in kitchen w/tile flooring & stainless steel appliances. Butlers pantry area perfect for coffee area. This home features loads of updates: Newer kitchen cabinets & breakfast nook ’10, Gorgeous patio ’09, Fenced yard ’13, Water heater ’18, Fresh Paint ’17, Insulated garage & wired for heat, Basement floors & walls painted, Newer ceilings fans & light fixtures, updated bathroom w/tile flooring, & the list goes on…Incredible price for this spacious home! !